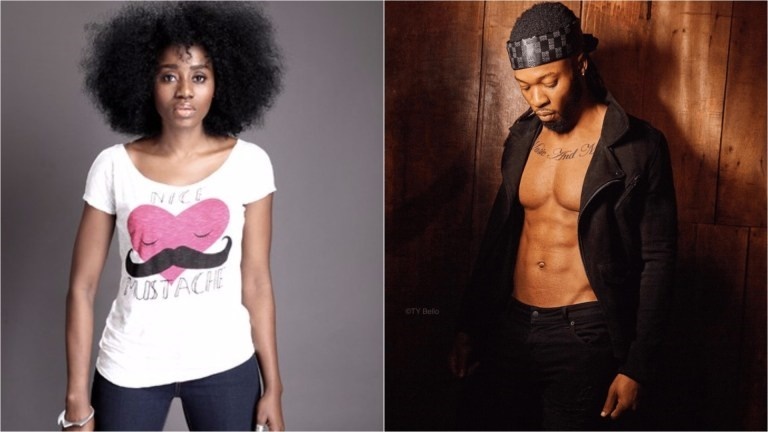 ty bello is inspired by flavour's body. Photographer and singer TY Bello has got new motivation to hit the gym by looking and taking pictures of fellow musician, Flavour's body. During a photoshoot for an album launch, photographer, TY Bello was inspired. The celebrity Nigerian photographer was so in awe of music star, Flavour's well-chiseled body, that it motivated her to hit the gym. ‘We spent the second half of the shoot taking some ‘fineboy’ photos. He really is an amazing looking human being,’ she said. We understand TY, Flavour's body is a motivation to us all too.